Master Yacht Services can be provided to you on your boat at the nearest shipyard. They can be sent directly to where your yacht is moored for the annual haul which, among other things, includes bottom painting and maintenance. Master Yacht Services apply one of the best antifouling paints on the market. On leaving the boat with Master Yacht Services, they go through the whole shipyard period process, thus ensuring your peace of mind. Bottom, under the water line is cleaned, inspected for cracks, blisters then painted with the best antifouling. Same thing with the propellers and shafts or the outdrives. The hull above the water line is also required to be cleaned with a waxing soap. Master Yacht Services has, at its command, team of former yacht crew, who are extremely acquainted with operating boats. This is the beginning of the year so, it is right time to inspect your boat safety equipment. As we feel for many boaters, the beginning of year is peaceful and dull interlude for the use of the boat, thus, providing you a chance to inspect and upgrade day boat safety equipment. Call the services of Master Yacht Services. Master Yacht Services gives special attention to the use of innovative and eco-friendly products on being called to provide its services in maintenance. When the boat is afloat, you will not have time for the maintenance of the same and God forbid, if it strikes some misfortune, you will be left with nothing but to curse yourself. Prevention is always better than cure. A boat when not wintered or left unattended is almost sure to encounter problems. 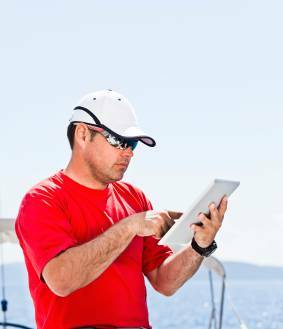 Previous Post Selecting the Best Boat Management Service Next Post How to prevent problems on your sailboat or motor boat?